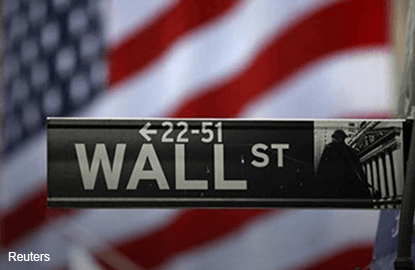 (Aug 9): Wall Street receded from record highs on Monday as a drop in healthcare stocks offset gains caused by higher oil prices and a strong jobs report. A rally to several all-time highs since late June has left the S&P 500 up nearly 7 percent in 2016, with many investors concerned about stretched valuations. "This is a natural pause for reflection by the markets. Everyone is sitting there saying 'Holy cow, what did we do? '," said Brad McMillan, chief investment officer at Commonwealth Financial Network. "Momentum is a big part of it. People are afraid of missing out." Pressured by losses in Bristol-Myers, Merck and Allergan, the S&P 500 healthcare index dipped 0.9 percent while the Nasdaq biotech index dropped 1.1 percent. Oil prices rose more than 2 percent after a report last week indicated some OPEC members had called for a freeze in production. Investors fretted about growing signs that S&P 500 aggregate earnings could decline for a sixth straight quarter. Analysts polled by Reuters expect third-quarter earnings to fall 0.2 percent, as of Monday. They had estimated a 0.2 percent rise on Aug. 3. The S&P 500 opened at a record high before turning modestly negative and closing down 0.09 percent at 2,180.89. The Dow Jones industrial average edged down 0.08 percent to end at 18,529.29. The Nasdaq Composite dropped 0.15 percent to 5,213.14. It was one of the year's slowest sessions. About 5.86 billion shares changed hands in U.S. exchanges, compared with the 6.56 billion daily average over the last 20 sessions. Seven of the 10 major S&P 500 indexes fell, with the healthcare group losing the most. The energy index gained 1.22 percent, with Exxon Mobil up 1.18 percent and Schlumberger climbing 1.6 percent. Bristol-Myers fell for the second straight day, shedding 4.71 percent after it said on Friday its lung-cancer drug failed a key late-stage study. It was the strongest contributor to the S&P 500's loss. Merck, which makes a rival drug, fell 1.57 percent. The stock had rallied 10 percent on Friday. Allergan lost 2.18 percent after it slashed its full-year revenue forecast and said it was not looking to use its surplus cash to fund any deals. Advancing issues outnumbered declining ones on the NYSE by a 1.35-to-1 ratio; on Nasdaq, a 1.10-to-1 ratio favored decliners. The S&P 500 posted 30 new 52-week highs and no new lows; the Nasdaq Composite recorded 96 new highs and 18 new lows.